TODAY: Go Fly A Kite! Just a quick reminder that today is the Williamsburg Kite Festival. 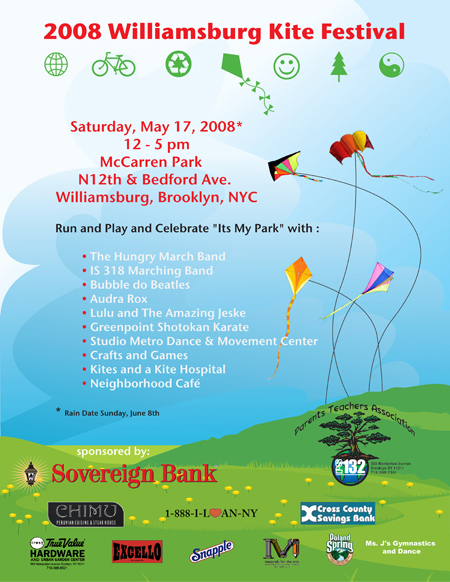 Why not enjoy today’s lovely weather by heading to McCarren Park and flying a kite?